More than 25% of harvested cereals are contaminated with various mycotoxins (Source: FAO). The main damage caused is immunosuppression due to polycontamination, which leads to lower performance. All animal species are sensitive to mycotoxins, even at low levels. The key to combatting mycotoxins in feed is to use a wide-spectrum adsorbent, given that forms of mycotoxin contamination are constantly evolving. A good binder must also be effective against mycotoxins such as deoxynivalenol and fumonisins that are difficult to bind because of their size and shape. MT.x+ blends a specific clay and algae with other adsorbents to create a product with a wide adsorption spectrum for different mycotoxins, including fusarium toxins. Are you concerned about this problem? 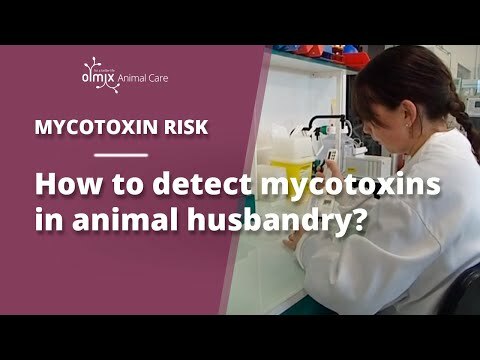 to have mycotoxins in your animals' diet! The Olmix Technical Department will help you optimize the dosage of toxin binder in your feed to suit your farm and expected results. 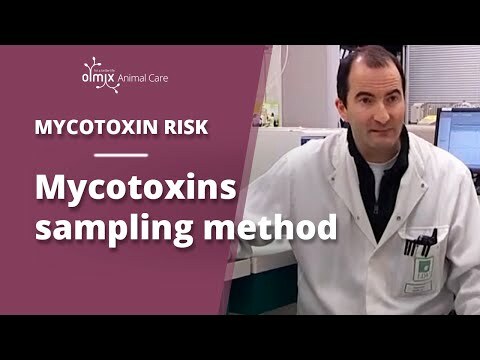 Mycotoxins sampling method by Eric Marengue - LDA 22 chromatography Laboratory director. Ms Mariel Neves Tavares, Olmix’s Regional Sales Manager in Brasil, was interviewed by the feed&food magazine at the latest edition of SIAVS in São Paulo, Brazil. Usable in organic farming in compliance with the EC regulations No 834/2007 and No 889/2008.